Robin Reynolds’ paintings are her interpretation of nature. She is not concerned with a literal depiction of the landscape, but rather a sense of place. Painting on location (plein air) she focuses on places where most would see disorder and complete randomness. Yet Reynolds finds the structure inherent within the landscape, rendering the tension between order and chaos. Reynolds’ had her first one person show at Prince Street Gallery in New York City this past May. In September this year, 2013, she will have her first one-person show at Gerald Peters Gallery in Santa Fe, New Mexico and her fourth one person show at Soprafina Gallery in Boston, Massachusetts. Robin Reynolds received her M.F.A. from Savannah College of Art & Design. She has studied further at the Stonington Painters Workshop, Stonington, ME, the Dorland Mountain Arts Colony, Temecula, CA, and the Millay Colony for the Arts, Austerlitz, NY among other residencies. Reynolds has been the recipient of prestigious recent awards including the Best of Show at the ArtsWorcester Biennial two times and Best Oil Painting Award at the G.Roddy Competition at the Concord Art Association. 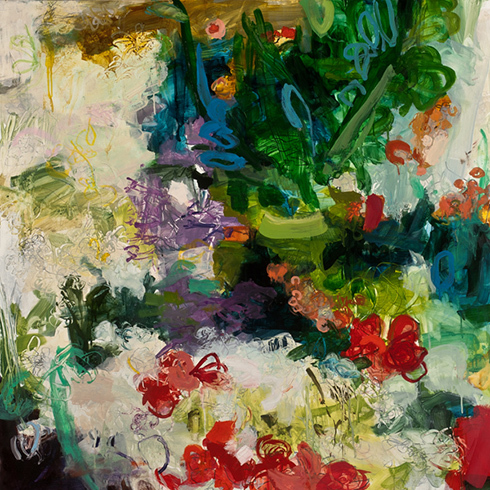 Her work has been exhibited in solo and group shows throughout the United States.